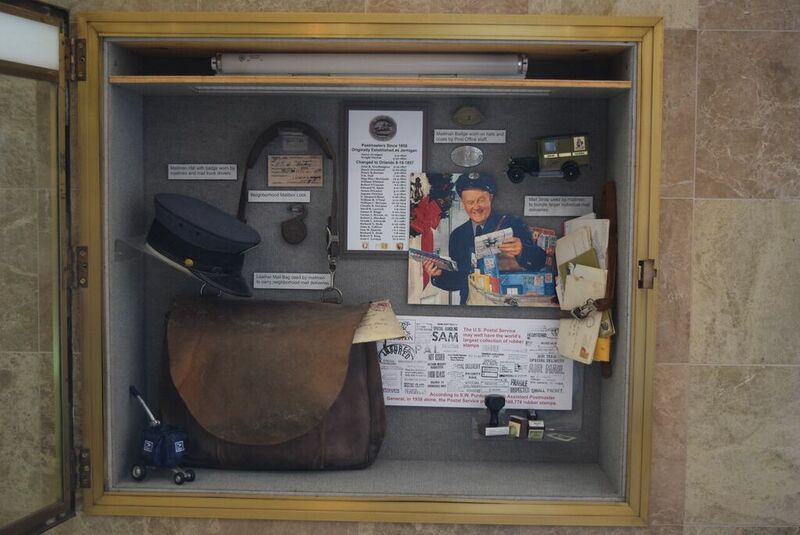 This exhibit, produced by Orlando Remembered shows objects from the Downtown Orlando Post Office, located at 51 E Jefferson Street. The post office was constructed in 1941 on land purchased from the adjacent St James Catholic Church. It still functions as a post office today; however, the building also houses the offices for the Diocese of Orlando. Orlando Remembered is a community based group, dedicated to the preservation of Downtown Orlando's past. To date, the group has constructed 18 exhibits in the downtown area that highlight the current building's connection to the past. Originally created by Rosalind J. Beiler. 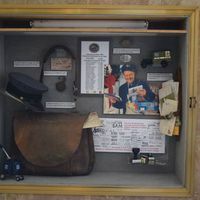 Beiler, Rosalind J.. “Downtown Orlando Post Office Exhibit.” RICHES of Central Florida accessed April 19, 2019, https://richesmi.cah.ucf.edu/omeka/items/show/6499.